Tom Hanks will play James Donovan, an insurance lawyer called upon by our federal government to negotiate the release of a captured American pilot during the height of the Cold War. As you can tell by the above clip, diplomacy in this era was in short supply, and both the U.S. and "Mother" Russia were balancing on a very thin line to try and protect their biggest secrets (and not lose face in the court of public opinion). Spielberg hasn’t tapped Tom Hanks for a lead role since the back-to-back efforts of Catch Me If You Can (2002) and the underrated The Terminal (2004), but you can understand why the director thinks Hanks is the ideal choice for Donovan. Here, from what we can tell in the clip, is an unassuming American handed a morally complicated assignment, who has to ignore the pressure and deliver what’s good and what’s right during troubled times. It reminds me, on some level, of Kevin Costner’s approach to Oliver Stone’s controversial JFK… a role that absolutely should have earned Costner an Oscar nod. Make no mistake: Bridge of Spies is gearing up for Awards Battle, in addition to partaking in the period drama of a Cold War piece. Everything about the above trailer sells Bridge as an "Important" movie, with Tom Hanks eventually going behind enemy lines in East Berlin to defend the moral fiber of our nation. 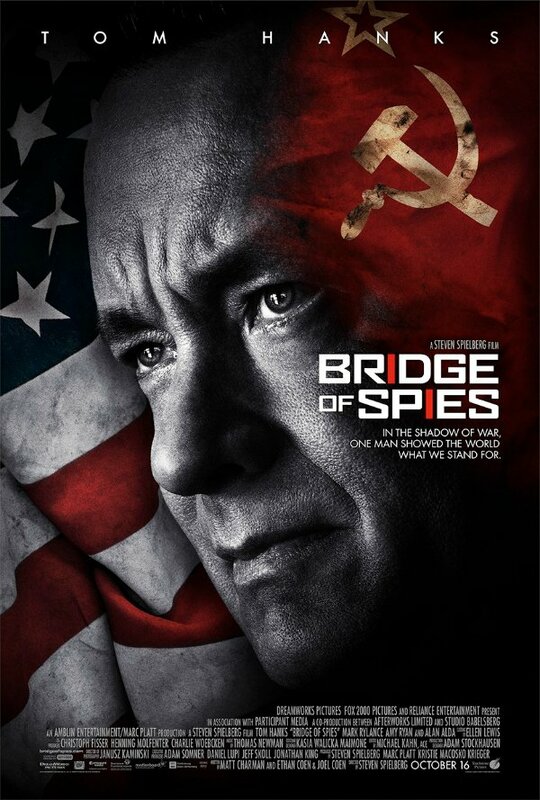 The thing about Bridge of Spies is that with Spielberg and Hanks behind it, Oscar hopes aren’t pie-in-the-sky wishes. They are tangible realities, and this first trailer convinces me that we will be talking about this drama from now until next year’s Academy Awards ceremony. Bridge of Spies also stars Mark Rylance, Scott Shepherd, Amy Ryan, Sebastian Koch and the great Alan Alda. It’s based on true events, and is working off of a screenplay by Matt Charman and Joe land Ethan Coen. Yes, those Coen brothers. It will reach theaters on October 16. What do you think of the footage shown in the first trailer? Weigh in below.